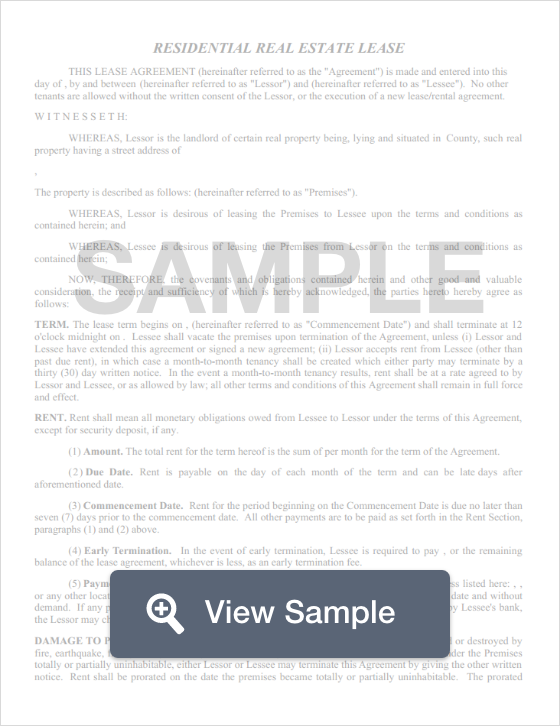 Create a Michigan Lease Agreement with our attorney-drafted template! A Michigan lease agreement is an agreement between the landlord and the tenant that records through writing the obligations that both party have toward a certain property. It will outline the amount of rent that must be paid as well as how the property may be used. All Michigan lease agreements must adhere to the state’s landlord-tenant laws. 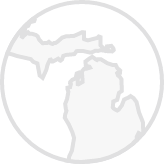 In Michigan, the most commonly used lease agreements are commercial lease agreements, standard residential lease agreements, a month-to-month lease agreement, a lease to own agreement, and a roommate agreement. Identify the landlord and tenant by their legal names and their designation. For example, Joe Smith, Landlord and Debra Brown, Tenant. Include the date the lease becomes effective and when it ends. A standard lease agreement is usually written with a term of one year. You should also identify that it is a standard lease agreement (as opposed to a month-to-month). Every tenant who will be responsible for the lease should have their name listed. They should all initial the area where their name is listed to show that they know they’re legally responsible for the lease. In fact, tenants should initial every page of the lease before signing to show that they’ve read it. You’ll create a paragraph titled "Rent." This should explain the total amount of rent that will be paid over the life of the lease, how much is due each month, when the rent is due, and how it should be paid. If rent is discounted for any reason, that information should be included. The next paragraph should be titled "Security Deposit." This lists the amount of money the tenant pays to the landlord as the security deposit. You should also include the date that the security deposit was paid. Finally, make sure that you list the name and address of the bank where the security deposit is being held. Create a paragraph titled "Nonrefundable Cleaning Fee." This should list the amount of money the tenant is required to pay at the beginning of the lease. List the number of occupants who may live on the premises. The maximum number of tenants may depend on county law. Create a paragraph titled "Sleeping Rooms" that explains the areas of the rental that may not be used as a bedroom. You should include a monthly fee that the tenant must pay if they allow someone who doesn’t live on the property to use the address as their mailing address. There should be a paragraph titled "Keys/Locks" that list the number of keys the tenant will get from the landlord. You should also list the fee for changing the locks and replacing lost keys. List the appliances or furniture provided by the landlord that the tenant may use. List the number of smoke detectors inside of the rental and if they work properly. A paragraph should be titled "Repairs and Maintenance." It should explain how the tenant may request repairs. It should also include a phone number that the tenant may call to report gas leaks, wiring problems, water damage, structural damage, and broken appliances. There should be a paragraph titled "Landlord’s Right of Entry." 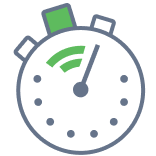 This should list how many hours of notice the tenant will receive if the landlord is going to enter the premises. There should be a paragraph titled "Pets." It should list the non-refundable fee if a tenant will have a pet on the property. It should also list any restrictions the landlord has related to the type of pets (or how many pets) may be kept on the property. Address parking for the unit. It should list how many vehicles may be parked on the premises as well as the year, make, model, and plate number of each vehicle. This section should also explain exactly where the vehicles may park. Address which utilities and services the tenant and the landlord will be responsible for paying. Include a section titled "Additional Provisions" to address any other terms or conditions of the lease agreement. Include a space for the printed names and signatures of both the tenant and the landlord. Remember that each section and page of the lease agreement should be initialed by the tenant(s) signing it. What Disclosures Must Be Made in a Michigan Lease Agreement? There are several disclosures that must be made under state law. There are also key statements that must be included. NOTICE: A tenant who has a reasonable apprehension of present danger to him or her or his or her child from domestic violence, sexual assault, or stalking may have special statutory rights to seek a release of rental obligation under MCL 554.601b. The landlord must provide an inventory checklist that must be completed and returned by the tenant within 7 days of moving in. The landlord must provide an address where the tenant may send them legal notices. NOTICE: Michigan law establishes rights and obligations for parties to rental agreements. This agreement is required to comply with the Truth in Renting Act. If you have a question about the interpretation or legality of a provision of this agreement, you may want to seek assistance from a lawyer or other qualified person. YOU MUST NOTIFY YOUR LANDLORD IN WRITING, WITHIN 4 DAYS AFTER YOU MOVE, OF A FORWARDING ADDRESS WHERE YOU CAN BE REACHED AND WHERE YOU WILL RECEIVE MAIL; OTHERWISE YOUR LANDLORD SHALL BE RELIEVED OF SENDING YOU AN ITEMIZED LIST OF DAMAGES AND THE PENALTIES ADHERENT TO THAT FAILURE. Under state law, the landlord may not request more than one and a half month of rent as a security deposit. The security deposit must be returned to the tenant within 30 days of ending the lease. If money was withheld from the security deposit, the landlord must provide an itemized list of deductions. Create a free Michigan Lease Agreement in minutes with our professional document builder.